The University of Central Oklahoma College of Fine Arts and Design (CFAD) will open ticket sales for the 2018-19 performing arts season Aug. 6. This year will feature a diverse lineup of music, dance, theatre arts, opera and musical theatre performances, beginning on Aug. 26. A unique collaboration between the School of Music and Department of Design in the “Flight of the Elephant” exhibition. “The arts give us an opportunity to celebrate the human spirit in all its creative complexity,” said Steven Hansen, dean of the College of Fine Arts and Design. The performing arts season also includes the Broadway Tonight series, which brings top performing artists in the industry to UCO to perform and work with music and dance students. This year, successful American saxophonist David Sanborn will open the Broadway Tonight season, Sept. 4, followed by the eclectic voices of Voctave, Jan. 19, 2019, and Ailey II, Feb. 16, 2019. For more information about Broadway Tonight performances, visit broadwaytonight.uco.edu. Community members can enjoy a discount to Mitchell Hall and CFAD performances with the Central Arts Card. The card offers a discount of up to $5 per ticket for up to four tickets per performance at Mitchell Hall and other CFAD performing arts venues. Some exclusions apply. The card is available for purchase for $20, with proceeds benefitting scholarships. Select performances from the 2018-19 CFAD performing arts season are supported, in part, by the Oklahoma Arts Council, which receives support from the State of Oklahoma and the National Endowment for the Arts. Purchase tickets for CFAD performances and the Central Arts Card at www.mitchellhalltheatre.com or through the Mitchell Hall Box Office at 405-974-3375. For a complete listing of performances and events at the college, visit cfad.uco.edu. Editor’s Note: Download art associated with this release at https://media.uco.edu/press/uploads/2018/07/7ke3171-theatre-arts.jpg. Cutline: The University of Central Oklahoma College of Fine Arts and Design (CFAD) will open ticket sales for the 2018-19 performing arts season Aug. 6. This year will feature a diverse lineup of music, dance, theatre arts, opera and musical theatre performances, beginning on Aug. 26. Purchase tickets for CFAD performances at www.mitchellhalltheatre.com or through the Mitchell Hall Box Office at 405-974-3375. 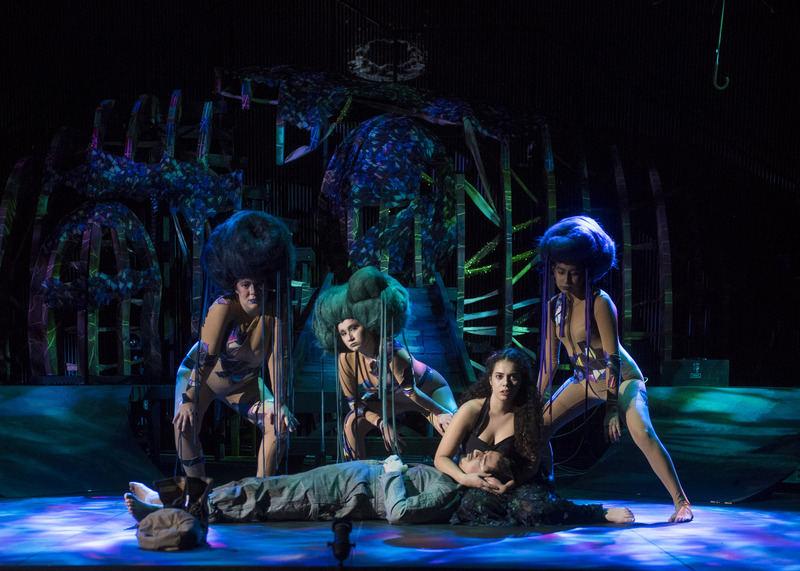 Seen here is a performance of “Eurydice” from the 2017-18 season.